The new Gambit has had quite the face lift. 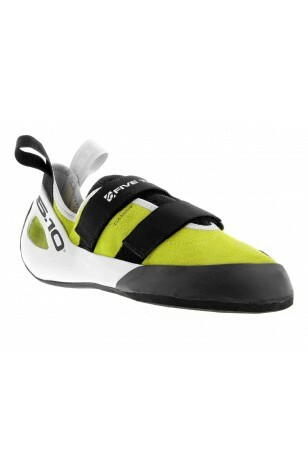 They have sacked off the perforated silver and gone for a more demure solar green colour. The shoe feels fairly snug width wise and the velcro closure will be ideal for those who can't tie their laces/want to pop them on and off on a more regular basis. 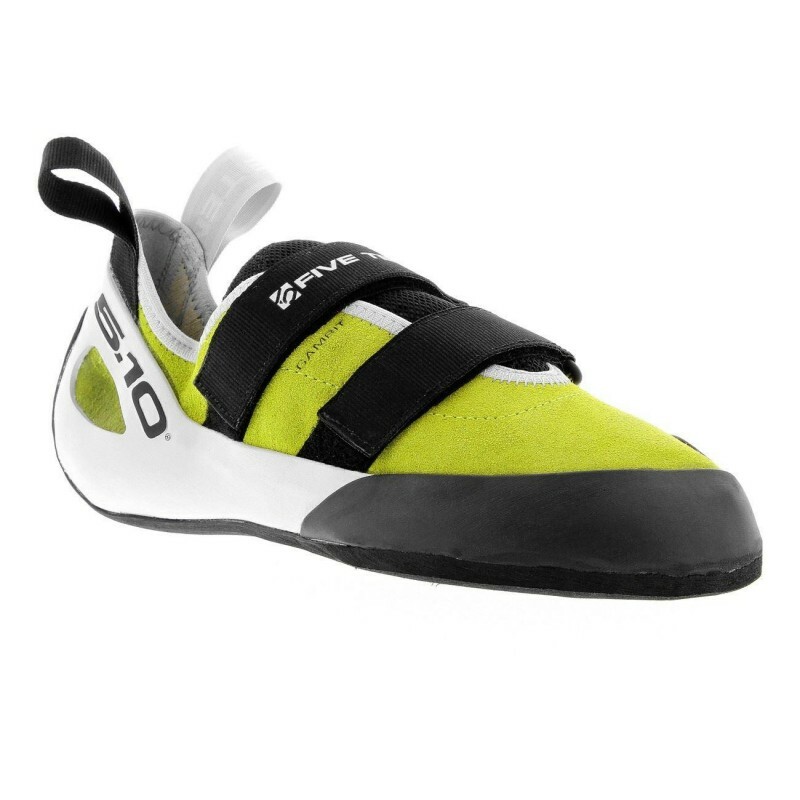 It has the same Stealth C4 rubber as the more serious Anasazi range but with a more comfortable fit making it ideal for entry level climbers as well as the more experienced who are after an all day trad/sport onsighting/multipitch shoe. 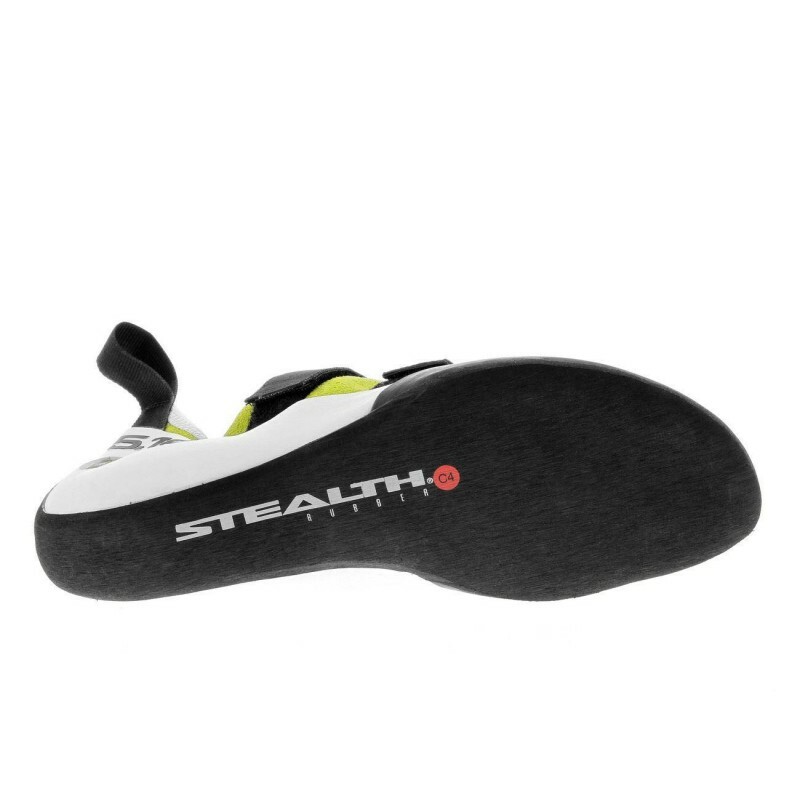 The stiff midsole (moulded thermoplastic) and low tension heel help to ensure comfort when used for a long day out. The tongue is perforated allowing your foot to breathe more easily and the cotton lining inside the leather upper will help to minimise stretch meaning you do not need to fit them crazy tight for a good fit.